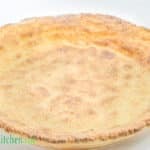 Gluten-Free Pie Crust Recipe is study and crisp and to suits the Keto Diet also with a parmesan base it will add a lovely cheesy flavor to your next pie creation. Preheat the oven to 170C/340F. In a mixing bowl, add the almond flour and parmesan cheese. Mix. Add the butter and rub into to almond/parmesan mixture, until there are no pieces of butter remaining. 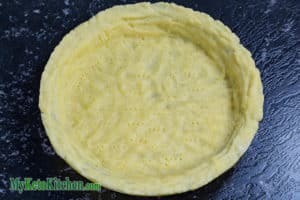 Press the crust into the base and up the sides of a 9.5in pie dish. Prick with a fork. Bake for 10-14 minutes, until the crust is cooked through. Use the crust as a base for your favorite savory pie mix.